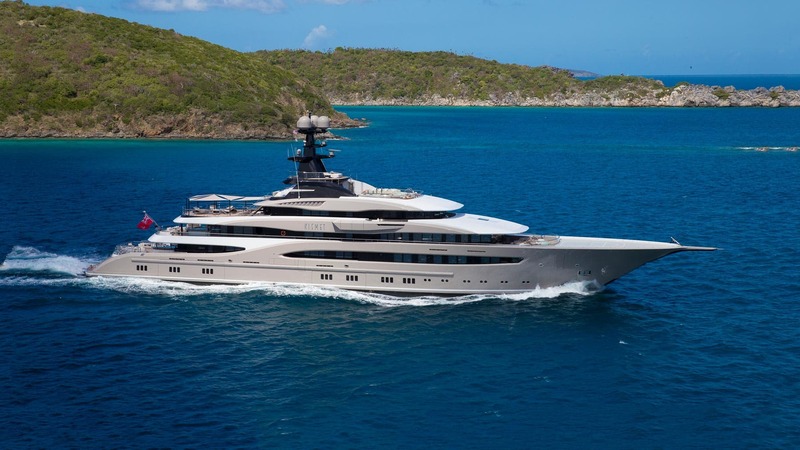 Built under the supervision of the Moran yacht construction team, the 95m KISMET yacht was delivered by luxury yacht builders Lurssen in 2014. This award winning superyacht features a gorgeous exterior design by Espen Espen Oeino and a decadent interior by the world-renowned Reymond Langton Design. KISMET yacht, for sale with Moran Yacht and Ship, can accommodate 16 guests in 8 opulent staterooms, with the master stateroom featuring it’s own private deck complete with a Jacuzzi and access to the yacht’s helipad. Other features include three different areas which guests can lounge or dine in, a sundeck complete with a swimming pool, a unique winter garden deck, a relaxing full-service spa, and a one-of-a-kind retractable outdoor fireplace. A highly successful charter yacht, KISMET represents the highest quality superyacht available to sale in the world today. Enquire below to find out more, or browse our other luxury yachts for sale.